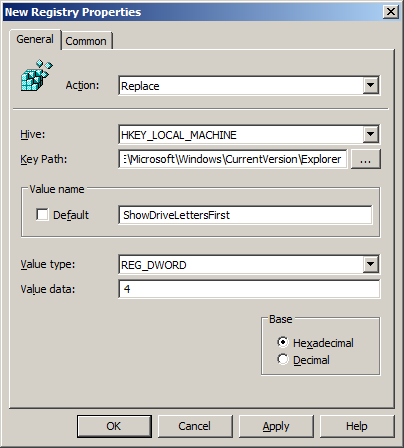 I just read an article that showed you how to set this really cool registry key that allows you to change how the drive letter is displayed in Windows Explorer. 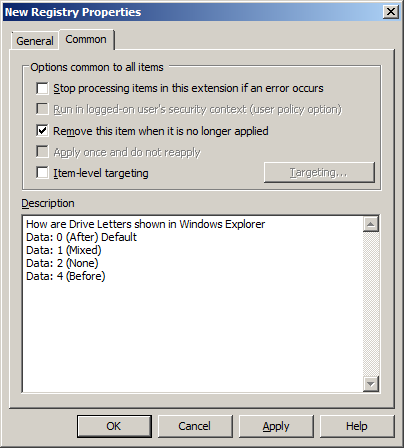 As this hack is only a registry key I thought I would do a quick how to deploy this this feature using Group Policy Preferences Registry Extension. 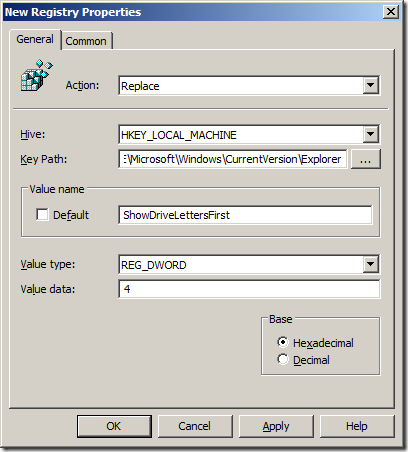 The registry key that you use to configure this option is called “ShowDriveLettersFirst” and it can be applied in either the user or the machine. Note: According to this Microsoft KB Article KB330193 it will only work as a Machine setting in Windows Vista. Step 1. 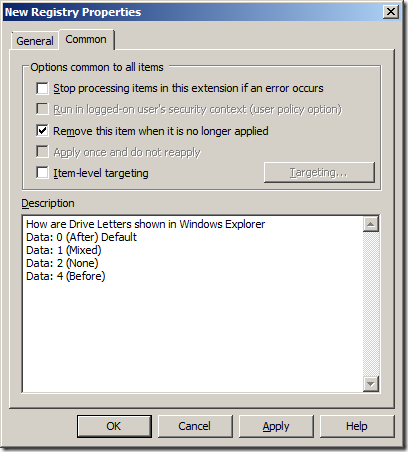 Edit a Group Policy Object that is targeted either to a user or a computer that you want to apply this setting. Step 3. Click on the “Common” tab and tick “Remove” this item when it is no longer applied”. I would also put in a comment in the description field explaining the valid numbers and what they do for the setting so someone else looking at this policy know how to re-configure this option if needed. Explanation: This will ensure the setting reverts to defaults if the computer no longer has this setting applied.